Hello, My Crafty Spot readers! It is Lindsay from My Creative Days back to share with you one of my favorite design tricks. This trick lets me have the fabulous pieces I see in retail stores at a fraction of the cost. I don’t know about you, but when I am shopping in retail stores (yes, I love those too), I find so many great things I would love to bring home, but there is no way I would pay their hefty price tag for them. Are you the same way? Yes? I have the solution. Spray paint! There are so many times that I find things at yard sales and thrift store that are in great shape, but just need a face lift. Most of the time, it is the color that I don’t like and that is the easiest fix I can ask for. 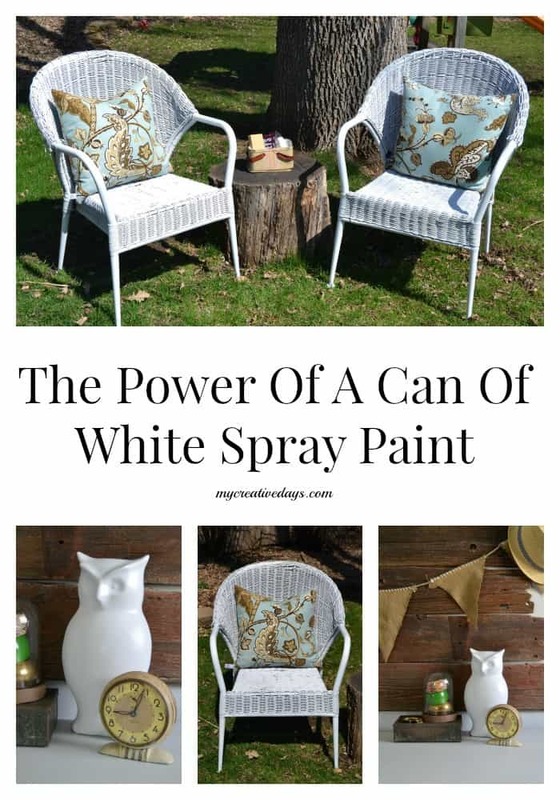 A can of spray paint can go a long way and it can make the biggest difference without a lot of time or money spent. Today, I am going to share with you a few pieces I recently made over with a can of white spray paint. 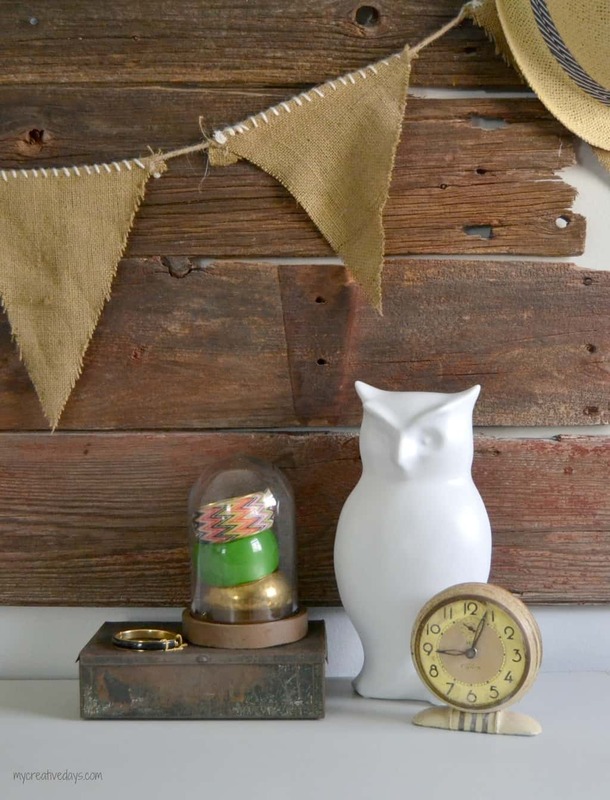 Owls are so popular right now. I have to admit that I love them and see them in all my favorite retail stores. I have seen many that I like, but I can’t justify paying $20 for something to sit on my shelf or night stand. So, how do I get the same look without that $20 price tag? Shop yard sales and find this brown beauty for $1. This owl was in perfect condition. No chips or cracks. I didn’t particularly like the brown color, but knew that would be an easy fix. 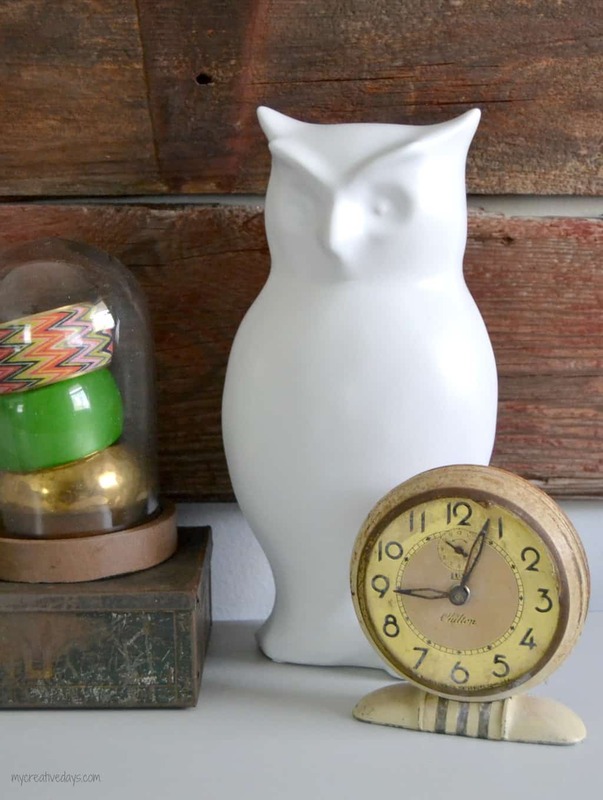 A can of white spray paint later and now I have an owl that looks very similar to the one I spotted at TJ Maxx for $19.99! 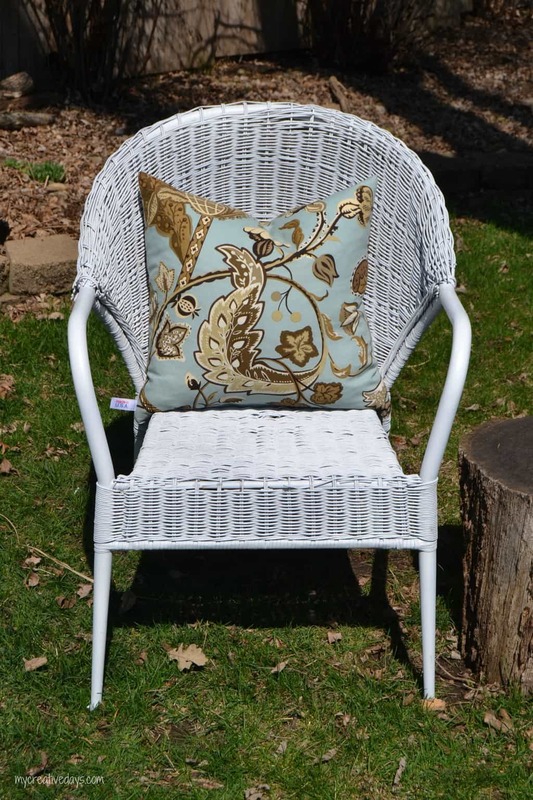 Another great example of what a couple of cans of white spray paint can do are these wicker chairs I bought last year at a yard sale. They were in perfect condition. The wicker was strong and there weren’t any rips or tears. To me, they just needed to be brought back to life with a bright color. 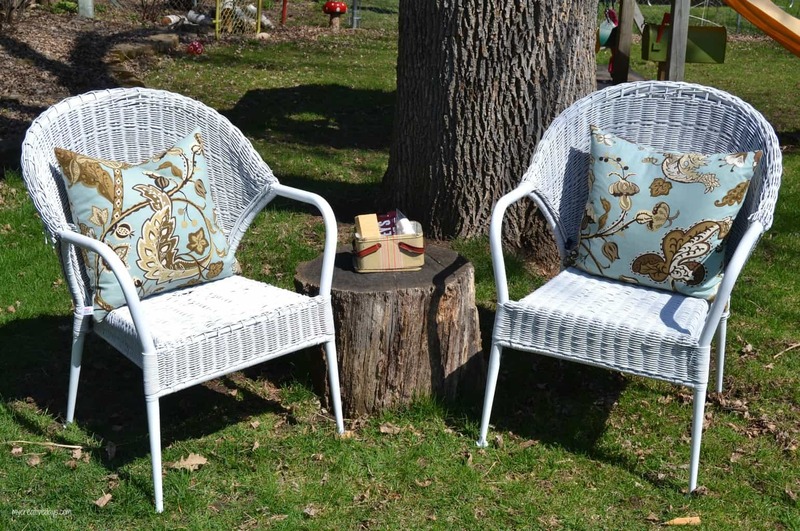 After a few coats of white spray paint, they look like brand new chairs! 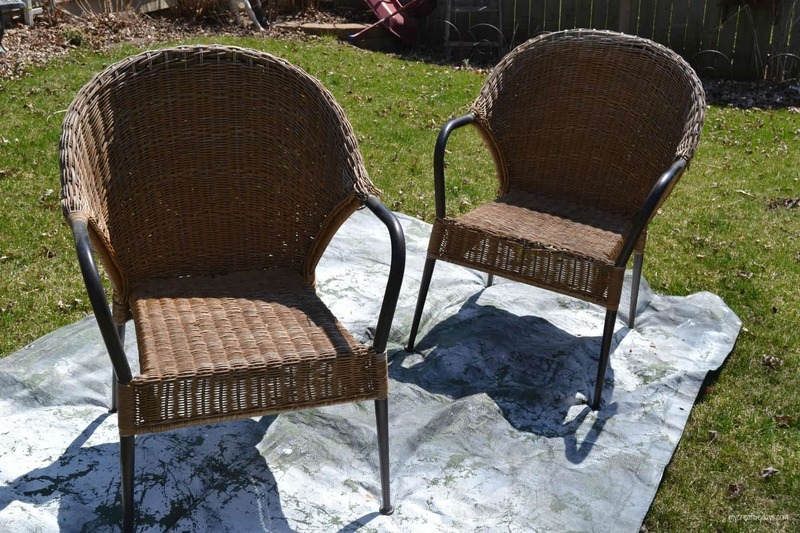 I did spray water seal on these chairs after the paint dried. I know I titled this post, “The Power of a Can of White Spray Paint”, but it could be any color spray paint you like. I have used every color in the rainbow for different pieces. I love decorating our home this way; coming up with ways to have the designer pieces I love without paying an arm and a leg for them. Most of the time, I like the one-of-a-kind piece I come up with better than the piece that inspired me in the first place. Make sure to follow along with all my design tips and tricks on my blog mycreativedays.com! I love this! Spray paint is a recent DIY obsession of mine. I have been working on some DIY’s for my wedding, and spray paint has been a great way to take a bunch of items that I already had or got at the thrift store and make them match my color scheme. For example, I bought/found all sorts of 4×6 picture frames and spray painted them gold to use for table numbers. They are all different textures/designs, but they look awesome since they are all the same color. I love re-doing cast offs and thrift finds with white spray paint. 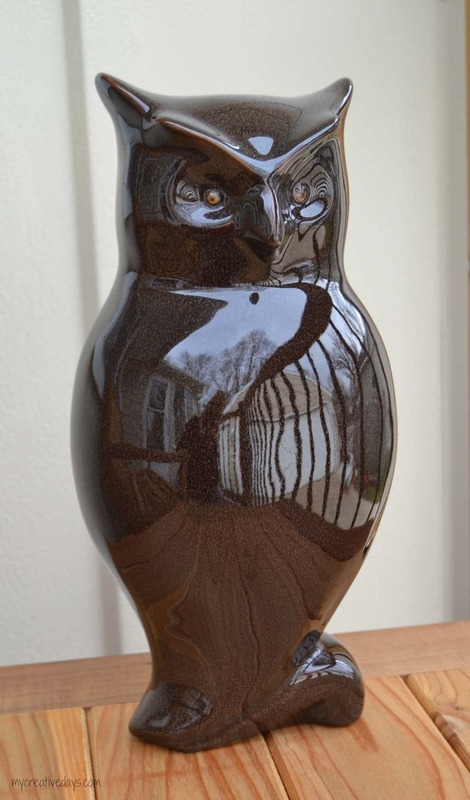 Never thought of using it on ceramic (like that owl). Great ideas! LOVE the vintage clock too! Visiting from Shabbilicious Friday link party.